There are many benefits of oatmeal that can be utilized in proper skin care. The main advantage for this food is that oatmeal is a natural and gentle product that results in few side-effects when used on the skin. This is a huge asset in the use of oatmeal for skin care over commercial products and even other natural skin care products. Listed below you will discover some interesting ways of using oatmeal in your skin care routine and unlocking all of its benefits. One really extraordinary property is that oatmeal is a soothing anti-inflammatory and redness remover when applied to the skin. It helps with skin itching caused from various skin problems such as dry skin, chicken pox, eczema, and more. An oatmeal paste may be a great way of reducing skin discomfort causes by the above skin conditions. Soothing of other minor skin irritations is another benefit of oatmeal. The discomfort caused by minor insect bites can be relieved naturally with a topical oatmeal application. A poison ivy rash or poison oak rash will be less uncomfortable when oatmeal is applied onto the skin. In fact, oatmeal helps with most types of skin rashes that individuals commonly suffer from. Whenever affected by these skin irritations it is worth giving oatmeal a try to see whether it soothes the problem. Of course, if conditions worsen or are more severe, then proper medical attention should be sought after. Oatmeal benefits for skin also include helping skin retain its natural moisture balance which is very important part of a regular skin care routine. When oatmeal is applied to the surface of the skin and then removed, a protective barrier preventing moisture loss from the skin is left behind - a natural and effective moisturizer for healthy skin care. Using oatmeal can be an effective and natural way of preventing dry skin in those cold and dry winter months. 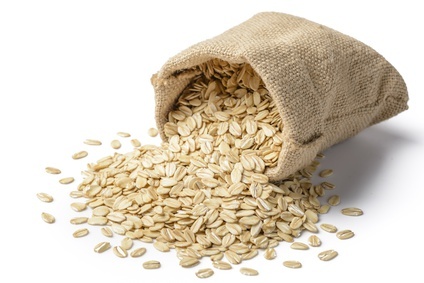 Oatmeal can be used as a natural and gentle cleanser for skin. It can actually lift dirt effectively from the surface of the skin. It is also a mild skin exfoliant to help remove dead skin cells from the surface of the skin and leave it soft and smooth and healthy. Proper cleansing of the skin and dead skin cell exfoliation are important factors in healthy skin care and oatmeal provides an option for performing these task naturally. Finally, oatmeal can provide a useful benefit when it comes to sunburns. Oatmeal can soothe a painful sunburn naturally and without harsh products that may irritate the sunburn even more or make the sunburn more painful. With all the benefits of oatmeal stated above, it is useful to have it readily on hand in order to deal with your skin care needs.